Robots. | A Continuous Lean. I found a cool piece of letterhead (pictured below) from a company called “Robot Salesmen LTD” on the Coudal + Partners website the other day. It reminded me of a shopping excursion I took a few weeks ago to Atlantic Avenue in Brooklyn. I remembered seeing these awesome robots for sale at City Foundry. Today VSL helped me connect the dots. 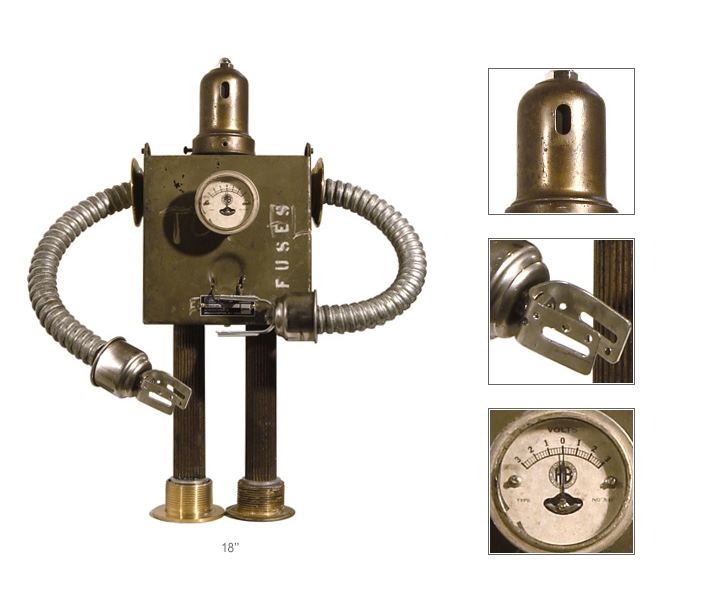 The robots are works of art made by Gordon Bennett of the Bennett Robot Works in Bridgehampton New York. Having never being much of a fan of Kid Robot or Kubrick, these robots are just the thing. Granted they can be expensive, but you could always just buy a poster which is almost as much fun.